Hip-Hop Word Count Friendraiser: Raps, Data Visualizations, Drinks & PiÃ±atas. 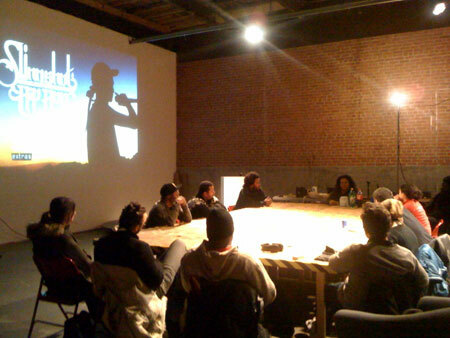 Rap Research Group #4 will met on Wednesday, January 19th at Eyebeam Technology Center 540 West 21st St.
7:00PM Discussion: The (Im)Possibility of Quantifying Art & Metaphor in Rap w/ Tahir Hemphill. Rap Research Group #3 will meet this Wednesday, January 5th at Eyebeam Technology Center 540 West 21st St.
7:30PM for the discussion: Migratory Aesthetics – A Working Model for International Hip-Hop w/ Zuhirah Khaldun.